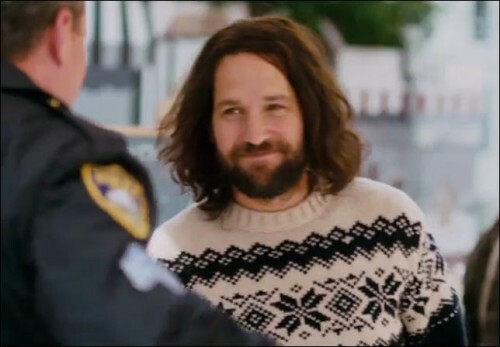 Lovable idiot Ned (Paul Rudd) gets arrested, leaving his dog Willie Nelson behind and searching all over New York City for his idiot owner. So far, Willie Nelson has visited Times Square, Grand Central and the Yankee Stadium without any luck. Check out Willie Nelson’s first three attempts HERE! Visit the Our Idiot Brother Facebook page to vote on the location where Willie Nelson should search next. Is Ned in City Hall, Central Park or on the Brooklyn Bridge? Vote now on their Facebook page HERE! The voting is done and Willie Nelson went searching for Ned on the Brooklyn Bridge. Check out the video HERE! But unfortunately, Ned was nowhere to be found and the search must go on. Could Ned be at the Metropolitan Museum, the Metropolitan Correctional Center or Carnegie Hall? Vote now HERE! Our Idiot Brother also stars Zooey Deschanel, Elizabeth Banks, and Rashida Jones. The film opens in theaters on August 26, 2011.